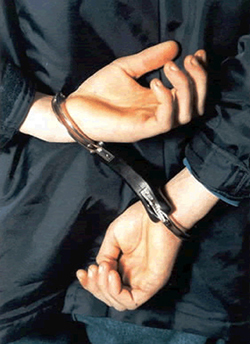 If you have been arrested and want to get out from jail as soon as possible, call one of our professionals with Griffin Bail Bonds, an office of Anytime Bail Bonding, Inc. You can find many companies offering bail bonds in Griffin, GA, but we the most knowledgeable staff that can get you the results you need and deserve in a timely manner. Call us today at (678) 688-1111 or visit our office located at 1434 Meriwether Street, Griffin, GA 30224. The bail bond process in Griffin can be difficult to navigate without the help of a licensed and professional bail bond company. When arrested for a crime, a Judge will set a bail amount based on the charge and your criminal history, to include prior court appearances and community safety. A bondsman with Griffin Bail Bonds can post your bail for a small non-refundable fee, usually 12 to 15 percent of the total amount of the bail, which may include additional fees. This will allow you to be released from jail without having to pay the full amount of your bail to the court. Finding the right bail bondsman may seem difficult when you have a lot of options in terms of bail bond companies. We make the process simple by offering quality service with a friendly smile at a competitive rate. We handle many types of bail, both large and small. When hiring one of our bail bond professionals at Griffin Bail Bonds for your loved one, please be prepared to provide the following information on the defendant: date of birth, arresting charge, jail being held (county, city, state), arresting agency, booking number and bail amount. We will gladly work with you to complete the bail bonds process without unneeded complications. Those who have never before been on the wrong side of the law often ask why they should enlist a bail bondsman for help and support. Bail bondsmen are responsible for ensuring your appearance at all required court hearings until your case is disposed of. We have a strong financial incentive to help make sure you do just that. To help secure a bail bond, we may take additional collateral, such as real estate, from a third-party indemnitor on your behalf. Using Griffin Bail Bonds ensures you have enough money to cover your bills and seek dependable legal representation, improving your odds of reaching a fair outcome in court. Anytime Bail Bonding, Inc.’s Griffin office is ready to assist you 24/7. We value each client who comes to us and will have your needs and best interests in mind upon hiring our services. Call us today at (768) 688-1111.